A frail, elderly villager seeking shelter from the burning sun inside a makeshift hut stares inexpressively into the camera as a trio of faceless, black-cladded apparitions perform a vibrant, ritualistic dance before him, perhaps in anticipation of the old man’s inevitable death. 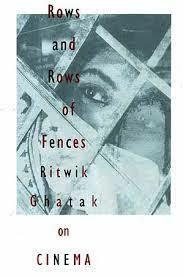 The dreamlike, surreal episode seemingly provides an allegorical – and intrinsically operatic – framework for the terminally unemployed intellectual, Nilkantha’s (Ritwik Ghatak) gifted, but equally encumbered (and squandered) life. As the story begins, Nilkantha lies abstractedly crumpled on the floor of an empty house under the numbing haze of alcohol as his long-suffering wife Durga (Tripti Mitra) meticulously removes any tangible object, including his prized phonograph records and books, that he may (and undoubtedly will) eventually sell or barter for a drink before leaving with their young son Satya (Ritaban Ghatak) and arranging for the sale of the house in order to start a new life in the rural town of Kanchanpur far away from him. Dispossessed of everything, Nilkantha finds an enabling protector in his former student Nachiketa (Saugata Burman), an engineering university graduate unable to find employment in the uncertain economy and turbulent political landscape of 1970s Calcutta. Sending the obliging Nachiketa on an errand to buy a bottle of liquor (using the house ceiling fan as trading fodder), Nilkantha soon finds himself joined in the empty room by a young woman named Bangabala (Shaonli Mitra), a refugee from newly independent Bangladesh who has entered the home in search of shelter under the mistaken belief that the house had been abandoned. Believing that she is the soul of his beloved homeland and touched by her traumatic plight, Nilkantha takes Bangabala under his wing. Forced to vacate the premises with the arrival of the new owners, the three begin to wander through the streets and, after rescuing an eccentric Sanskrit teacher named Jagannath (Bijon Bhattacharya) who coincidentally hails from his ancestral village, Nilkantha decides to lead his ragtag band of displaced brethren to a journey into the country, away from the cold, impersonal streets of Calcutta, in search of an elusive place called home.